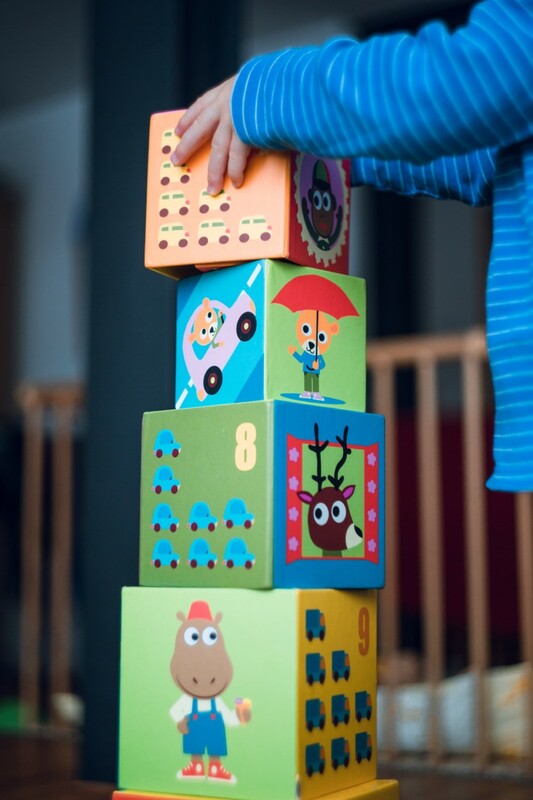 Blog 9 Reasons Why Having Fewer Toys Is Good For Your Children? 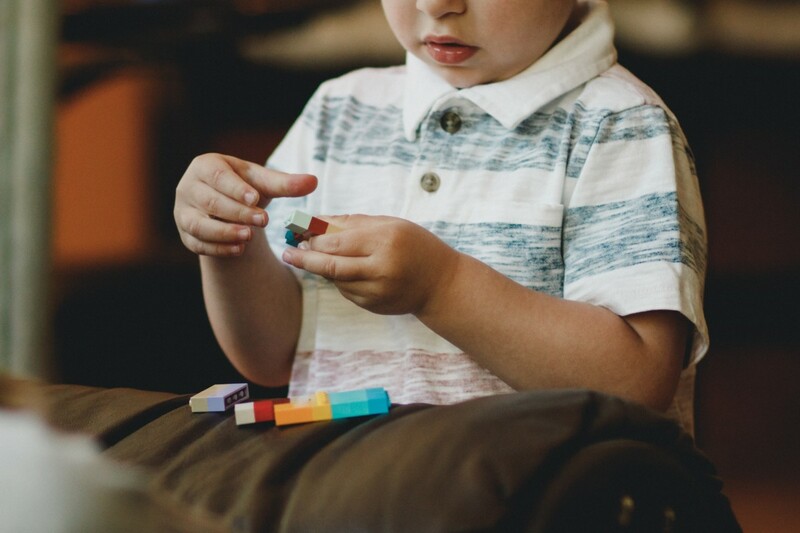 9 Reasons Why Having Fewer Toys Is Good For Your Children? Lately, the two littlest in our household started to lead a lifestyle of a hoarder. They not only receive a lot of gifts (a lot of times without any specific reason or special occasion) but they also collect junklike stuff they want to keep and play with. Like colourful empty bottles, tissue paper, ribbons, etc. My eldest even steals things from the nursery, I keep finding random little objects in his pockets when we get home. We still have the top of his wardrobe full of unopened presents from his birthday. Untouched Kinder surprise eggs hiding in the kitchen which he keeps getting from the grandparents by the box of 5 (!!!). It takes a lot of effort from us to make our lovely folks to understand that they simply have to stop buying too much stuff for the children. We look like really mean parents! But, they don’t need (and they are definitely not going to get) a surprise egg every day. We are running out of space to store toys they are not playing with. Lots of them break or stop working within a few weeks or months and end up in landfill. So I decided to declutter. And declutter regularly. They simply have to invent plays and games to entertain themselves. 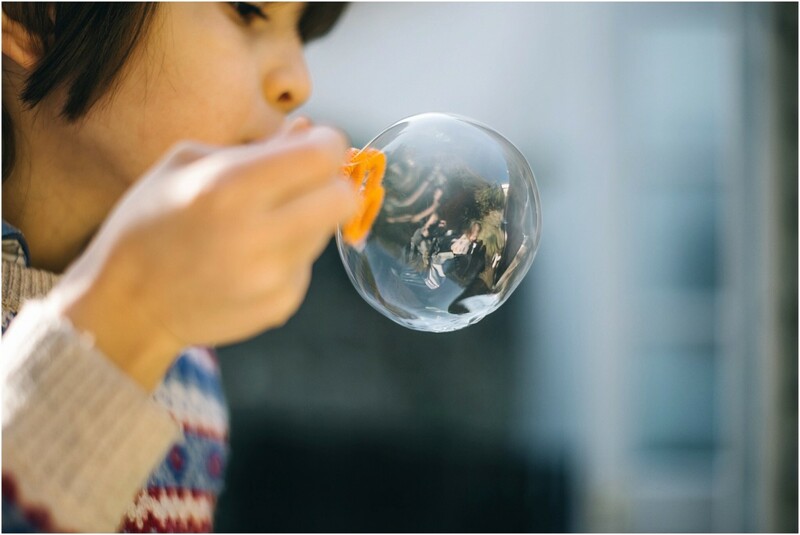 For children, this supposed to be a natural way of discovering the world and part of their development. Like using empty food cartons and boxes to create a shop instead of buying a miniature plastic toy shop set. (With 120 pieces.) Or make some. Just use a real jute bag when they go pretend play shopping. Use carton boxes and build a car. They will soon start to change their way of thinking and play with what’s available. Naturally, some things are forbidden and they are not toys. Some things they should never touch. They will learn sooner what objects in the household are not allowed to play with and what are they used for. Going hand in hand with innovative thinking, it enables children to make use of things. Use that tissue paper collection to cover the racing car made of an empty cardboard box. Cut out numbers of paper. The car also needs wheels, lamps, a car key maybe? Not just in children, it effects everyone. I personally feel very anxious when the mess is bigger what I than I can tolerate and things are not at their normal place or not being put away. So, when my little boy becomes anxious he starts to run around, from wall to wall in the hall, sometimes for 10-15 minutes till he gets very tired. This is how he copes with overstimulation and anxiety. Nowadays, this happens a lot less since we’re doing conscious efforts to declutter regularly, he’s a calmer and more cooperative too. Sharing is an important milestone in social communication and the one which parents find quite frustrating whilst learning is still in progress. At every play date, every time at the soft play or on the play ground all you can hear is “Share, sweetheart, share please!” Teaching taking turns and sharing becomes easier when they have less toys. Also, they will be less selfish. A child, who gets everything on a silver plate believes it’s just natural and soon starts to have demands, often not reasonable ones. For parents like me, this is an important issue. My eldest has never been great at imaginative play, he still needs lots of help to get started. Imaginative play is a key milestone in a child’s development. With all the talking, music making, interactive toys there’s little room left for the imagination to fly. If they have difficulties to get to use their imagination, like my boy, we have found it’s a good idea to play stories from their favourite books. Creating our very own mini theatre. Buying less and carefully select a few toys only means buying less rubbish which will be thrown away in no time. It saves money, tears, and teaches them to choose wisely. It’s a greener approach. It teaches them patience and that it’s worth waiting for something. I remember how long I waited for my first Barbie doll, how much I wanted to have one and how long I cherished and looked after the first one I got. I want my children to have a sweet memory like that. Bonus. How much time do you spend with tidying up? How about adding to that all the time you spend arguing and negotiating with your children about it? Yep. Thought so. This can be also saved by downsizing the toy arsenal. The children would be more willing to tidy up as the result is within an easier reach. Maybe some more can be added to the list, did I miss something? Please leave a comment. I really enjoyed reading this, there’s a lot of good tips there. We’re on a similar journey of decluttering and I do think it makes life so much easier when you’re not surrounded by so much “stuff”. Thank you. All the useless stuff just ends up in a charity shop anyway – or in our case in the bin, as my children literally ruin all their toys. I couldn’t agree with you more. I find my children are happiest when there is nothing for them to play with, like on a dog walk or at the beach. They get along best when they are using their imagination! Yes, I could have added another reason, which is going outside. Mines prefer to be outside whenever it’s possible. It’s a little bit of a double edged sword when people give your little ones gifts, isn’t it? You want to be grateful, but at the same time, do they really need that much stuff? Grandmas are the worst culprits in our home. It’s great that you are trying to encourage creativity and imagination in your kids! Thanks Rachel. They never notice, so true haha! Such great points but something I don’t seem to be able to do! B has so many but I have noticed that if I bring them out in a cycle he finds things he hasn’t played with in a while. This is so true. We just spent two weeks on the road and barely touched a toy. The kids did great and soent so much time in nature using their imaginations. Thanks for linking up to #globalblogging! We do declutter and still they have lots of toys-I tend to rotate them every few months, keeping some stored under their beds while the others are out. 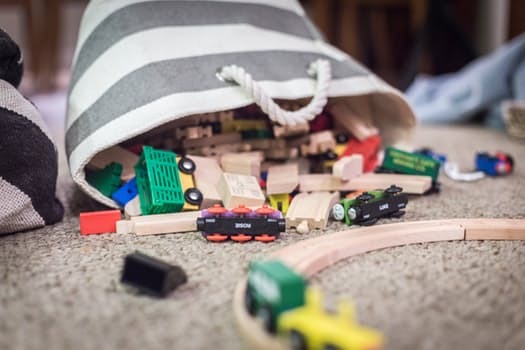 My two have always had lots of toys, but I don’t find that has a detrimental effect on any part of their learning, playing or lives in general. This is so true. We had to really put our foot down with our parents because they would buy them something new every time they came round, which was every week! They seemed pretty hurt but then I started having a clear out and decided to take a lot of it round to their house. They soon cottoned on to it being a pain having too many toys! We still have far too many now and they’ve taken over the house. My daughter only has tiny room so all her toys are in the living and dining room and it’s got seriously out of hand. And despite having so many, they’re ALWAYS bored. A massive decluttering is definitely in order before Christmas!